Your life is busy. The days and weeks can get hectic, especially at the end of the year. You don’t have the time or energy to put up with long lines at the bank, or driving all over town just to get the cash you need to pay bills and make planned purchases. Thankfully, there are modern alternatives available. One of those is the simple and straight-forward process of auto pawn. Also known as vehicle title loans, this option empowers you to take control of your financial future. Best of all, you likely have a car or truck parked outside right now that you could use to get real money. Read on to learn more about the ease and convenience of the auto pawn process. Trying to get a loan from the bank can be an arduous process. You sit and wait for what seems like an eternity, then you have to fill out endless paperwork, and finally, they tell you there’s no loan available! What a waste of time. By contrast, vehicle title loans are quick and efficient. Most deals are processed in just a day or two. When you bring in your vehicle in good working order with a clean title in your name, you could be out the door with cash in hand in no time. Plus, this secured loan option means you won’t be subject to embarrassing credit checks and strangers prying into your background. 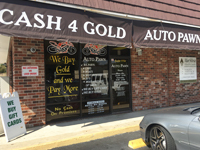 At Auto Pawn, we deal in all makes and models of cars, trucks, and motorcycles. We can pay up to $100,00 for your vehicle. In addition, we pay the most cash for gold than any other pawn shop in the area. That’s why more Central Florida residents trust us for dependable and legal financial transactions. One of the ways banks make money is by charging you sky-high interest rates on loans. They get away with it because most people aren’t aware of any other selections. Now, you can beat them at their own game by choosing the option that continues to grow in popularity: vehicle title loans. Here, you’ll get competitive rates and terms that put you in control. Plus, we don’t play games like some lenders. You’ll know your payment schedule and terms up front. In fact, our friendly and knowledgeable team members will work with you to create an ideal plan tailored to your personal requirements. Best of all, you can still drive your vehicle while you’re paying off the loan. When you bring in your car, truck, or motorcycle in good working order with a clean title in your name, you’ll be on the fast track toward financial security. We also deal in all types of boats. That’s just one of the many reasons why we’re well known as the best pawn shop in Deltona. Life is unpredictable, and it’s impossible to plan for every situation that might arise. Unfortunately, there will always be emergencies, illnesses, and accidents that require fast action. Thankfully, you have options when it comes to quickly get the cash you need. Simple and straight-forward, we respect your valuable time. That’s why our process is designed to help you get the money you require without the hassle of other choices. 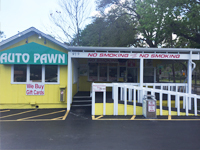 This attention to detail and professional approach has earned us a solid reputation as one of the very best Daytona Beach pawn shops. Finding safe and legal ways to get fast cash can be stressful and even overwhelming. Those feelings soon take a toll on your mental and physical health. Your loved ones could also be negatively affected by witnessing you in distress. Avoid that scenario by reaching out to trusted and reputable professionals who can help you find solid solutions to reach your financial goals. For years, we’ve been the go-to financial resource for Central Florida residents just like you. 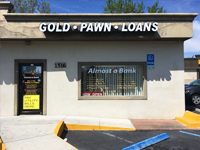 Plus, with three convenient locations across Volusia County, your nearest pawn shop is likely closer than you think. In addition to vehicle title loans, we also offer the most cash for gold and gift cards. Contact us to learn more, or simply stop by the location nearest to you today.